Orange County ushered in a new era with the historic opening of the Orlando VA Medical Center’s (VAMC) Veterans Health Administration (VHA) Simulation Learning, Education and Research Network (SimLEARN) National Simulation Center in Lake Nona on Sept. 16. SimLEARN will serve as a high-tech advanced training facility for VA medical centers across the nation. 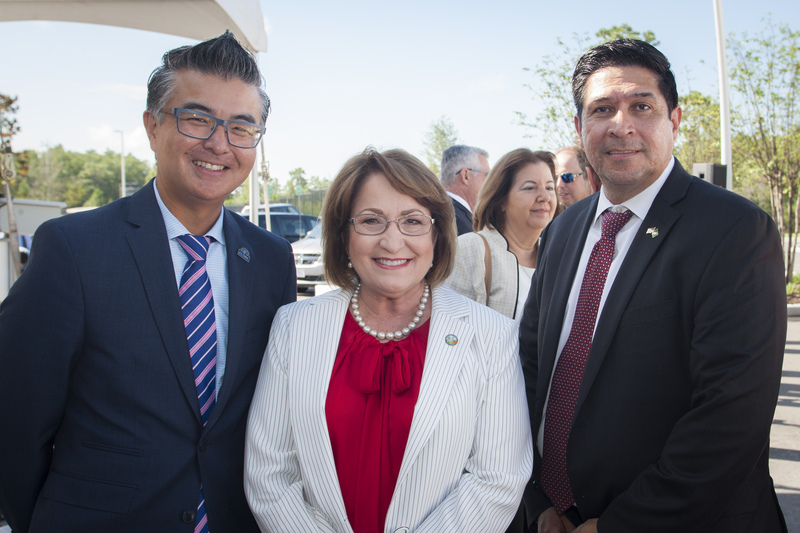 Orange County Mayor Teresa Jacobs joined Florida Congressman John L. Mica, Congressman Dan Webster and leaders from the VHA and Orlando VAMC to open the 51,000-square-foot facility. SimLEARN’s high-tech immersive environment uses simulation training to drive excellence in veterans’ health care. SimLEARN is the operational hub for the coordination of national VHA clinical simulation activities to meet the local simulation-based training needs of VA medical centers across the country. The facility provides simulated training by replicating actual patient treatment areas, including an outpatient clinic setting and an inpatient hospital setting. Ten classrooms will also accommodate up to 160 students and training to support classroom debriefing and review. The center is also equipped with three specialty procedure rooms, two operating rooms, a cardiac catheterization lab, one emergency room and ambulance, a mental health room and three intensive care units. Orange County has a deep connection to the military through the region’s active duty and retired service men and women, and robust modeling, simulation and training (MS&T) cluster. The region is home to 150 industry-related companies and the acquisition commands for the Army, Navy and Marine Corps; the Air Force Agency for Modeling and Simulation; plus 10 other federal government agencies and joint commands. The Central Florida Research Park, located next to the University of Central Florida, is the epicenter of the MS&T industry, which contributes more than $6 billion to Florida’s gross state product and directly employs more than 30,000 Floridians, with an average salary of approximately $79,000 annually. To view photos from the ribbon cutting ceremony, visit Mayor Jacobs’ Flickr album.